Forget pounding the pavement, research shows one of the most effective ways to kick-start your fitness regime is to hop on a bike. There’s no need to be deterred by the thought of navigating the road with a lycra-clad group of riders. Gym-based indoor cycling classes make jumping on a bike easy, and classes are proven to get results. 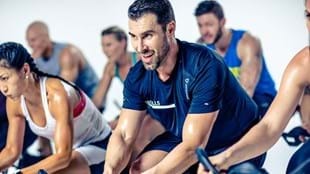 A recent study by Les Mills International and Loughborough University in the United Kingdom has found that Les Mills’ cycle class, RPM™, can be a great way to kick start a fitness regime. With just three RPM classes a week you can lose body fat, reduce your blood pressure and decrease your cholesterol levels. Together this will decrease the risk of heart disease and obesity. The research also highlighted how cycling will trim the tummy. Individuals who participated in the study lost an average of three centimetres (cm) from their waistline. If you want to improve cardio fitness, lose weight and have a whole lot of fun while you're at it, give RPM a go. RPM classes are offered in thousands of facilities across the globe. You can find a class here. 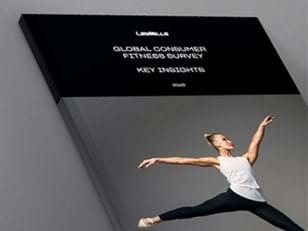 Alternatively, you can jump on a stationary bike at home and work out with LES MILLS On Demand. To see the full findings of the study go HERE.